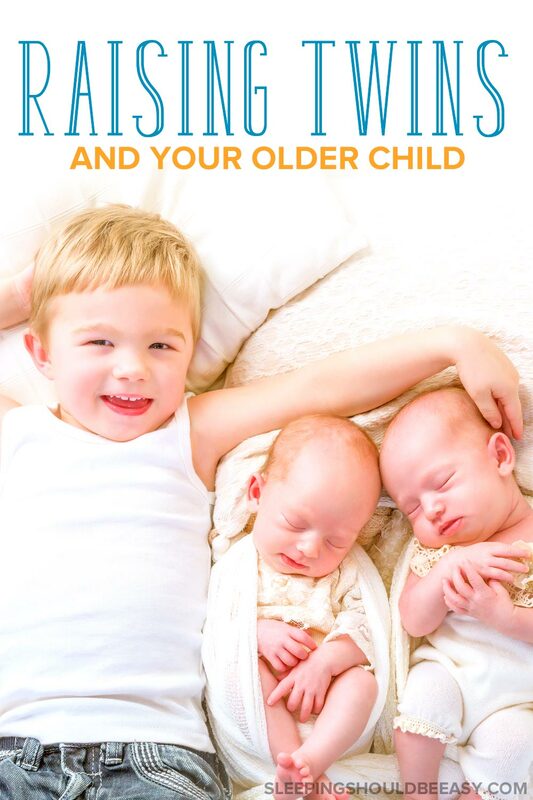 You’re having twins, except you already have an older child. Dealing with all three can be a challenge. Here are tips on raising twins after singleton. When the idea of raising twins sunk in, the next question was how I’d care for two babies plus a three-year-old. I had been expecting to juggle a preschooler and a baby, not two babies. “I’ll be raising twins… and my toddler, too,” I told myself. I had no idea if I could handle it. It’s tough feeling tied to your twins while nursing, pumping or holding two bottles. You can’t exactly stand up right away if your older child needs you. What to do? Give him tasks to do. Encourage him to fill his big brother role by asking for his help. Things like putting diapers in the diaper box, sorting socks or putting toys away. Read with him. Sit next to him and have him turn the pages of a book while you read the words aloud. Give him a time frame. Your child may just need the reassurance that you’ll be with him soon. Explain that in 15 minutes, you’ll play trucks with him, right after the babies take their bottles. Ask him to entertain the babies. While the babies nurse, he can talk to them, shake rattles, sing songs, make funny faces or show his favorite stuffed animal. Encourage bonding among all three. Sometimes your older child just wants to sit and cuddle with you. He can snuggle up to his twin siblings as well, gently caressing their arms and legs, maybe kissing the tops of their heads. 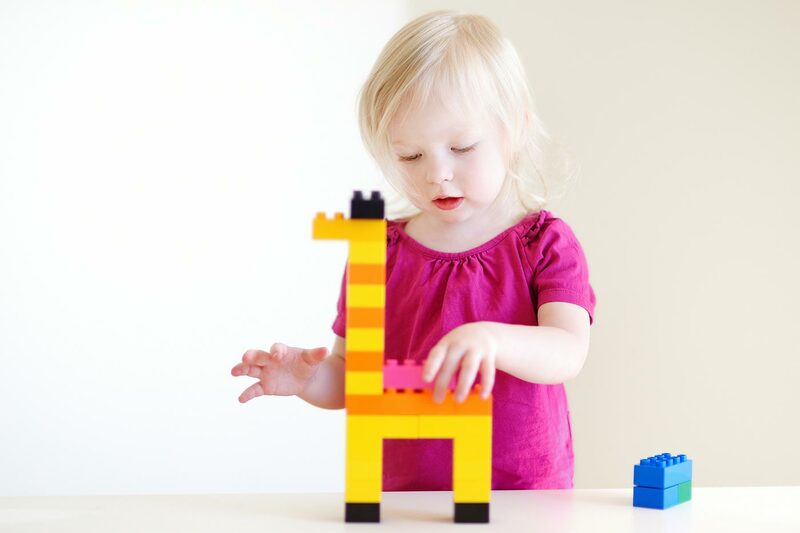 Gather new toys and items he can tinker with while you’re busy. These can be simple dollar toys or even household items. Then when it’s time to nurse, introduce a new item to keep him busy. See what household items you should stock up on before the twins arrive. One of the most reassuring messages I repeated to myself was that this madness is temporary. My house will be messy with mirrors not wiped or windows collecting mildew, and that’s okay for now. Meals won’t consist of freshly-cooked dinners every night. Instead we’ll rely on take-out, frozen food or donated meals. My daily attire will include nursing tops, yoga pants and wet hair cinched into a bun. Cook the night before or when another person is in the house. You’re not left with all three kids as you scramble around the kitchen. Cut, dice, and serve food a few minutes before dinner time. Once your child is hungry, their plates are ready to go. Get bath- and bedtime items ready throughout the evening. At bath time, you’ll already have the pajamas, diapers, milk and towels set. I personally love and use Aveeno bath products. Pack diaper bags long before you step out of the house. Expect the needs of your day and pack any supplies or food for your outings. Pack the stroller with your sunglasses, keys and phone if you plan to take them for a walk soon. Better yet, pack these items not before you need to leave, but after you’ve just gotten home from an outing. Take advantage of nap times. This is the blessed time when I either: a) prepare for when the babies wake up, 2) get things done around the house, 3) spend time with my singleton, or 4) relax. Batch-prepare his snacks and meals. For instance, if you’re going to slice an apple, slice a few more to serve tomorrow. 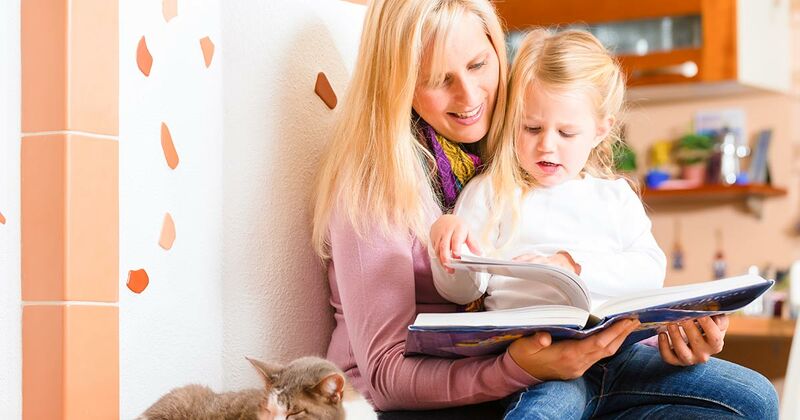 Get more tips on how to get things done with a toddler. I’ve long been a fan of independent play. It’s not always possible to spend our every waking moment entertaining or being near our kids. First, they need time to explore on their own. They can’t expand their wings if we’re there cramping their space every second. Allow them to question, make mistakes, and choose the direction they want to explore. They’ll know when to come back if they need reassurance, and you can always be nearby to do so. Second, babies and kids need time with one another. You know those cute videos of twins laughing at one another? My twins do that when adults aren’t around (or at least they don’t think we’re around). They’ll sit next to each other, and one will start laughing at the other one. Soon they’re both cracking up in that cute baby twins way. Meanwhile, I’m putting dishes away, knowing that this moment may not have happened if I were nearby. And finally, kids playing on their own is good for you. Parents feel pressured to always engage with their kids, and sometimes it’s not fulfilling. We get bored. We’re burned out. And the guilt that we’re not doing a good job when we’re not engaging with our kids is an unrealistic demand. Get more tips about encouraging independent play. Encourage independent play in your older child so she learns to entertain herself when you need her to. Now more than ever will you need help. You almost need one adult for every child. If you could get an extra one to cover the household, that would be even better. My mom stayed with us a few weeks after the twins were born, and it helped because each child had at least one adult. A long-term helper is ideal because that person is familiar with your daily routine. They know when and how to change the diapers and feed the babies. They’re familiar with your singleton’s preferences and where to fetch the yogurt he likes. You don’t need to give as much direction because this person has become part of the household. If someone isn’t able to stay for several days or weeks, weekend visits would be the next best thing. Friends and family can drop off food so you don’t have to cook, or paper plates and utensils so you don’t have to wash. They can play with your older child while you nap, run errands or go for a walk. Your older child will test your patience like crazy. It can start as early as the last few months of your twin pregnancy when you’re extra tired and changes in the home are more obvious to him. I’s likely to peak during the early weeks with the twins. I lost my patience a lot more during those short few months than I ever did all the three years prior with just my singleton. It’s not easy. How can you manage caring for the twins and meeting your older child’s needs without going crazy? Show empathy. Yes, it’s hard, especially as your three-year-old disobeys, regresses, or says outright hurtful words. You’re more likely to react and yell, drag him by the arm and tell him to stay in his room. But, as challenging as adjusting to life with twins is for you, it’s even harder for him. He doesn’t know how to manage his emotions as well as you and I do, and all the defiance and regression stems from his own vulnerability and confusion. So when he acts up or misbehaves, don’t think of it as another hassle to solve or a personal attack on you. Instead, remind yourself he needs you to help him manage. Just as your newborn twins need you to hold them when they cry, so too does your singleton when he’s upset. It doesn’t make it any easier for you when it seems the next best solution is to stop his outburst as fast as possible, but in showing empathy, you curb the behavior more effectively in the long-run. And most importantly, you’re letting him know you’re still his mom, regardless of twins. Get more tips about showing empathy to kids. 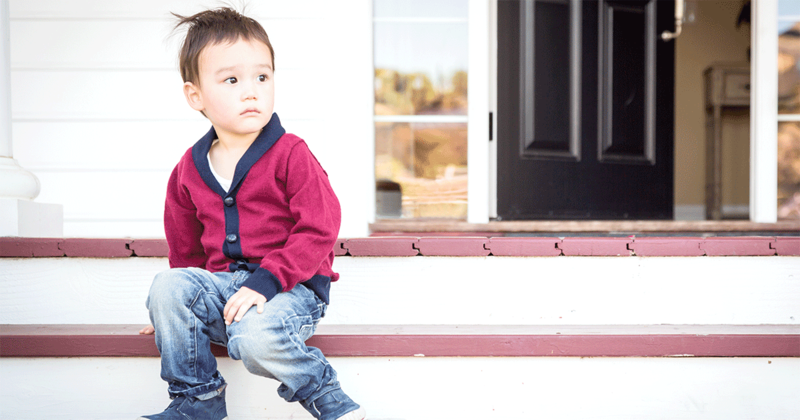 Show empathy to your older child—welcoming twins is tough for him, too. Here’s the rough part. As limited in time as you already are, it’s still important for you to spend time alone with your older child. Connecting with him for as little as 10 minutes can prevent whining and even tantrums. Plus, it’s important for your child to feel like he still has you in his life. That the twins haven’t replaced his special place in your heart. You don’t have to do anything crazy—a simple game, a snuggle on the couch, or a quick walk around the block. Take advantage of the times your twins are napping to be with your older child even for just a few minutes. These special times, no matter how short they are, could be all he needs to know everything is still all right. The crying newborn (or two) or the crying toddler—who do you go to first? The older one. Here’s why. First, he’ll remember more of this than either of his siblings. Second, you don’t want to send the message that he’ll always have to wait, or that the twins get the attention first all the time. And third, by default, you’re giving priority to your twins most of the time anyway because they’re more dependent on you. Balance their needs by remembering that those of your older child are just as important. Learn how to balance the needs of all your kids. I enrolled my eldest in preschool a few months before the twins arrived and he was able to adjust to school in time for the twins’ arrival. School became a place that was just for him—an escape from the madness at home. It’s hard for our older kids to handle the babies’ cries, the lack of attention, and change in routine. Going to school gives kids the predictability they crave. Whether it’s preschool, lessons, the playground or weekend stays at grandma’s, providing your child with a regular outing helps him reclaim a space that’s his. A place that isn’t tainted by anything baby-related. Where he can get away from the cries and the constant “Be quiet, they’re sleeping” and be free to explore on his own. Your singleton’s routine also provides you with a breather. The hours my eldest was in preschool afforded me some rest—it was one less child to attend to. And since my eldest stopped napping, I wasn’t always able to rest even if the twins were sleeping. With him in school, I could use those hours to rest or get things done. Just make sure your child enjoys these outings. If he returns from grandma’s house more upset, he may see these activities as time away from the family or being sent away. 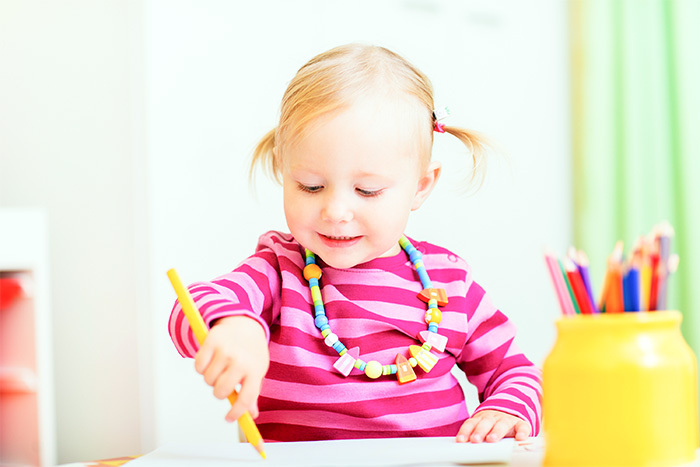 Click here to see the pros and cons of preschool. I made the mistake of telling my child he’s special because he was going to be a big brother to twins. I figured he needed an extra reason to love his brothers. Being a big brother to twins would set him apart, wouldn’t it? Make him extra special? No—he’s special because of who he is, not because of his twin brothers. Making his brothers the reason would place his value on others, not within himself. He’s special, whether he has twin babies, one baby, or no baby. I stopped tying his “special-ness” to having twin brothers and instead made having twins simply an exciting change to look forward to. “We’re going to have two babies—isn’t that neat?” I would say, and leave it at that, with no mention of how special or lucky he is. Another common mistake is to address your twins as “the twins.” This is fine in moderation, but done too much and your older child will see a divide between him and his new siblings. Try to foster a relationship among them. He’ll develop his own special relationships with each baby, and it helps to treat the twins as individuals, not lumped together as the twins. My eldest likes to play a game he made up with one of his twin brothers where he’s on a “boat” (our reading chair) steering a helm (a pillow). He only does this with that one twin. Meanwhile, he also likes playing peek-a-boo with the other twin in the crib. He’ll hide below the crib and pop up, making his twin brother giggle with glee. Again, something he only does with that twin. Each twin is more likely to develop their own unique relationship with their older sibling. You’ve already been through this at least once. You’re no longer a first-time mom and have learned a thing or two the first time around. Still, welcoming twins into your home will be a new experience with its own challenges, especially as you juggle them with your older child as well. But with the tips above, you’ll be able to handle the transition from one to three! What are your concerns and questions with raising twins after your singleton? For parents who don’t have twins, what tips can you add when you welcome your subsequent kids? Share them in the comments! Overwhelmed with everything you need to buy for your twins? 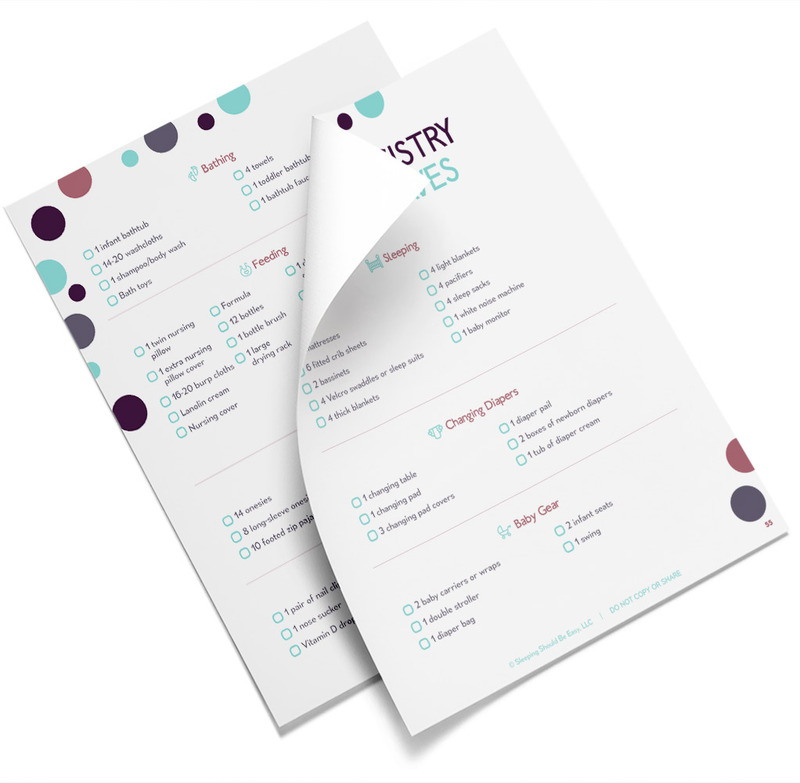 My Twin Registry Checklist includes everything you need to get for your twins in one convenient place. Now you know exactly what to get, how many you’ll need, and which items you can buy later. I love the thoughtful way you parent! I have zero beneficial things to add since I have never had twins. But I definitely think that many of your points apply to all kids. 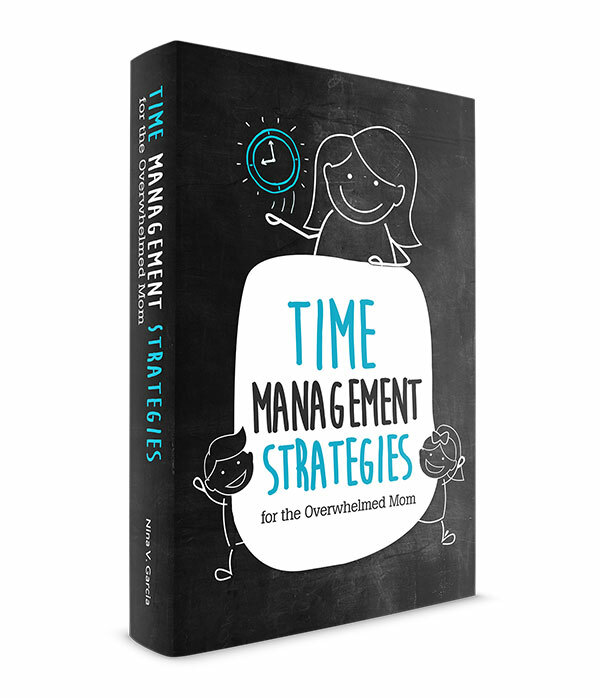 Preparation and time management are key in parenthood if you don’t want to be that mom who is always over-the-top frazzled and showing up 10 mins late to everything. (Although you get a pass on those first few weeks post-partum.) Also, I 100% agree that letting your kids play independently is good for you and them. I watch another child part-time. She is 9 months old and she still cries the entire day at my house because when her mom is home, she never puts her down – she even told me she sleeps sitting up in bed HOLDING her 9 month-old!! It goes without saying that I am counting down the days until they move (less than 3 weeks now!). You are awesome. I love the thought behind the choices you make in parenting. Right on, Vanessa. People keep asking me how I manage and I think for moms who are overwhelmed with huge responsibilities, you just do. You find a system that works, a routine that lets you get everything done while still saving your sanity. And limits so you can still balance it with everything else in your life. And lots and lots of pre-preparation! And thanks so much for your kind words. It means a lot, seriously. I used to watch both extra kids 5 days a week, but I was basically craving a liter of vodka every night after they left so I decided that is not a healthy way to go through life… 2 days a week is more than I can handle of 8-10 hours of crying – especially since she isn’t even my own kid. I don’t have anything to add, as I currently only have one little guy, but I did want to echo what others have said about the thoughtful and respectful way you parent. I really do believe that when we respect our children in addition to loving them, we empower them that much more. Great post, as always! Thanks so much, Katie. I really appreciate your kind words. Going from one to two babies really rocked my world. I’m sure you hear the “I can’t imagine” line all the time, but I truly can’t imagine jumping from one to three. My #2 was high-need, so that could be why my memory of that time period is so powerful. Haha yes Courtney! People ask me all the time how I manage or say that they can’t imagine themselves taking care of one and twins. I agree that the more high need the kid, the more powerful the memory. You can’t erase all those sleepless nights! You always have such great advice Nina! I LOVE the logic behind “me v. babies” and referring to each person my name. Dynamics change when the family grows and I think it’s important to keep that in mind during the transition. Your eldest is lucky to have such a doting and concerned mother! I’m a big fan of mindful people and you are definitely a sweetie!!! I cannot agree enough with how much time can be saved if you prep things before hand. Especially dinner and diaper bags! Aw thanks Rebecca! Yes, referring to the babies by name just as much as we call them “the babies” has helped set their individual selves apart. I want my kids to feel like they are all three of a bunch instead of big brother and the babies. And yup—nothing beats prepping. Sometimes I feel like I’m playing chess what with having to forecast future moves and strategies lol! Some good tips, even for parents of 2 singletons. Especially teaching them to play independently. But I wonder, what should I do while they are playing by themselves (later of course b/c my baby is only 9 mos and I’m still afraid she’ll topple over). Ask for help! Oh yes I totally agree with that one and I only have twins without the older sibling. It’s funny you talk about calling the twins by their names – because I never refer to mine as twins, or the twins,they have their names or if I’m talking about the two of them together they’re the kiddos. Me too, Clare. If anything I say the babies, but I never call them the twins. Well, other than on this blog but that’s because I don’t call any of my kids by name lol. Great advice! Thank you for sharing on Whatever Wednesday on Thank You Honey! What a great post! Thanks for linking up to HDYDI! I’m going to be featuring this post tomorrow on the link up! I’m sure many of our readers will appreciate you insight! I had twins and then a singleton, three years later. It’s interesting to read about what the other way is like. Obviously we don’t know any other life than what we have, but what do you think would’ve been easier—twins first then singleton (like you had) or singleton then twins next (like mine)? I generally think it was such a blessing to have twins first. While I was completely new to everything motherhood, breastfeeding, and pregnancy/postpartum, and that meant a steep learning curve, I love that my girls have always had each other. I haven’t had to entertain all day long like singletons (or so I hear) because they play with each other, which certainly came in handy with a new baby. That’s so funny because I actually thought it’d be much harder to have twins first! I figured you not only had to deal with two babies but the newness of motherhood in general. I think part of the reason the twin pregnancy and raising them is calmer for me is because I sort of know what to expect. I also know not to freak out if they don’t hit their milestones right away, and that whatever quirks they have will be forgotten instead of worried about down the line. Still, you bring up a good point in that your girls always had each other from the get go. There was always a built-in entertainment in that dynamics. I have to say, having another kid was so much easier because I had already been a mother, so I totally get what you mean! Knock on wood, but my husband and I were just talking about if we were to ever have a set of twins again, we’d be so much more prepared because we know now. We know all of it and are way more laid back! Ha. Wow, congrats Kimber! You’ll be a pro with #4 by this point! And yes, emphasizing their separate, individual relationships with one another I think helps forge stronger bonds among them, instead of lumping the twins as “the twins.” I hope the remainder of your third trimester is going well. We are flying solo right now with our 1 1/2 year old son and recently found out we have twins on the way…to say we were shocked is putting it mildly. Thank you so much for your insightful and thoughtful post. I know I will be reading it over and over these next several months in preparation for their arrival. I feel pretty overwhelmed at this point and your words helped me to stop and take a breath…and remember, I can do this! Amy, you absolutely CAN do this! First off, congrats! You’re now part of the “twin club” 🙂 I too was ridiculously overwhelmed when I heard we were having twins. I mean, I cried for a week. I couldn’t even fathom the costs, the physical strains and the logistics of caring for two kids. Now I am so lucky I have twins. They really catapult you into a strength you never knew you had, from withstanding the pregnancy to managing those crazy first months to the times when you can take them out all on your own, even with your eldest. Glad you enjoyed the post, and again congrats. Feel free to message me anytime you need a pep talk lol. Thank you for your incredibly inspiring article. We just recently found out that we are expecting twins and we already have a 17-month-old. I’m still in the overwhelmed and anxious stage and have concerns about my son feeling left out once the babies are here. Any advice on finding time with your 1st in those crazy first few months? I’m a petite person Who had postpartum preeclampsia after our son was born. Any advice on carrying close to term and still being an active mama? Thanks for your advice and happy holidays! I will admit: the first few weeks and months were crazy. I think one-on-one time is key, even something as simple as reading a book together while the babies nap, or going for a walk while someone else cares for the twins. I’m pretty petite too and I scared myself thinking of how big my body will get. It does get big but we manage somehow. I’d say focus on mild activity, not regular prenatal activity as you would’ve done with your singleton. With my singleton, I was exercising every day, but not so with my twins (I was just too exhausted). Keep eating healthy food and lots of rest! Hi thanks for the suggestion! I have 3 boys as well, a 2 year old and 9 months old twins. It’s been a challenge, but we found a good routine and it’s working pretty well. I love your article because I can totally relate. Thanks for the suggestion. Hi Lillian! A good routine was a huge help for us. So glad to hear that you’re adjusting well with your twins and two-year-old as well! Thanks, Louise! Glad it helped. Thumbs up from South Africa! Excellent! Really appreciate the helpful tips you shared. It’s just what I needed, I’ve got 10 month old twins (a girl and a boy), plus a feisty 4 year old girl, and two older girls (7 and 5), so I’ve got my hands tied, it’s really challenging with all of them home schooled, but your tips really helped me see things from a new perspective!